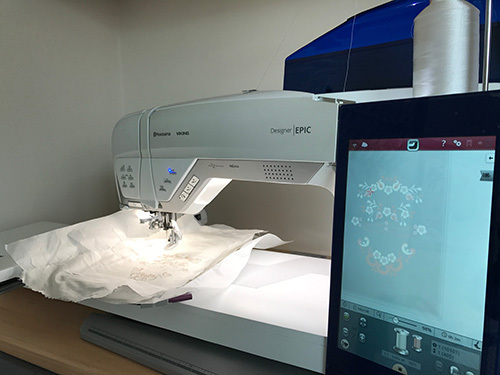 It seems that many machine embroidery enthusiasts are prone to taking a break from embroidery for a time and require some inspiration to plug in their machines, hoop up some fabric and get embroidering again. Maybe this is the result of a series of failures and disappointments. There are several ways to get back into the excitement of seeing a design complete on your machine. Take a trip to your dealer and get your machine serviced as I did earlier this week, or take a course of lessons. 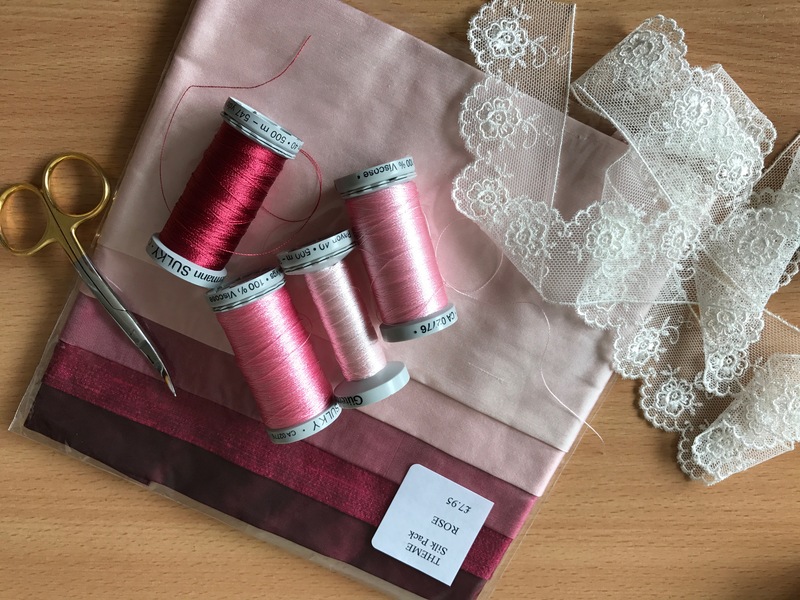 The atmosphere of being surrounded by wonderful machines, gorgeous threads, exciting fabrics and beautiful embroidered projects is always inspirational for me. I so enjoy talking “embroidery” with friends face to face. 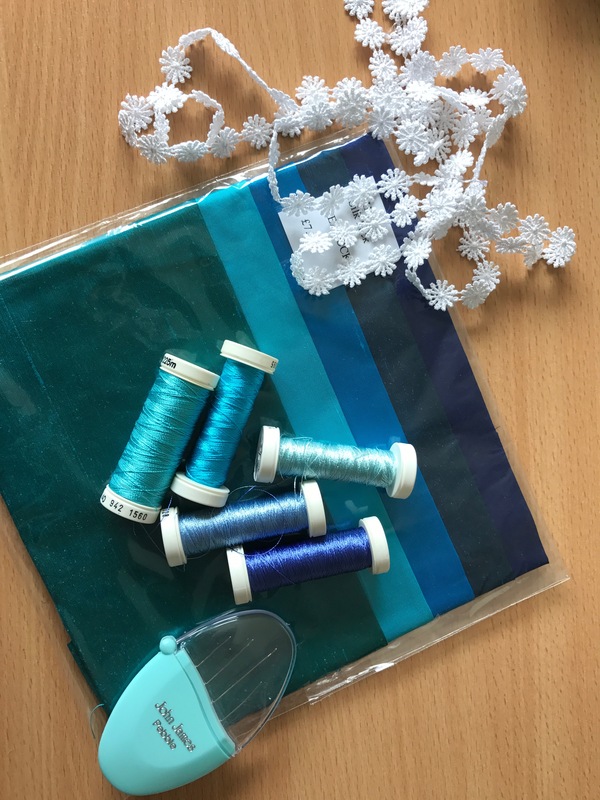 A new collection of intriguing designs can also be that needed stimulus or the feel of some gorgeous fabric you have just received in the post. Look at these packs that arrived recently from the Silk Route. 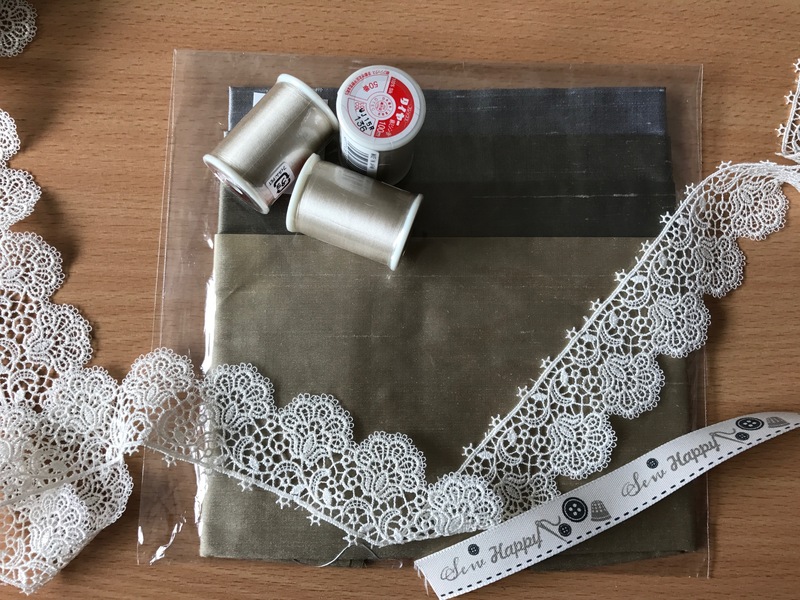 Gather some fabric, thread and notions so you can start planning. I am sometimes asked by customers for ideas on how to use my designs, so if you need inspiration click on this image to visit my 4 eGalleries of projects. 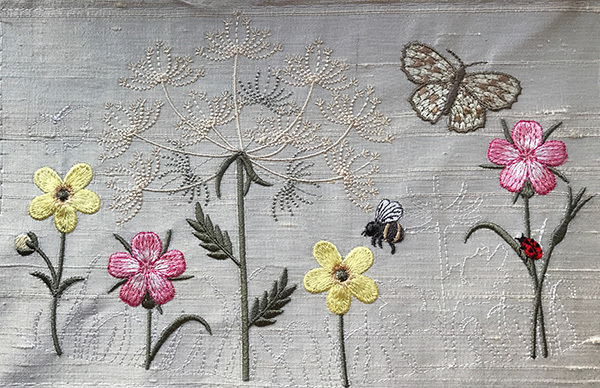 When I began to digitise the new collection of Summer Meadow wild flowers I had no idea how popular they would become and I cannot wait to receive emails with photos, showing me how they have been incorporated into lovely embroidered projects. 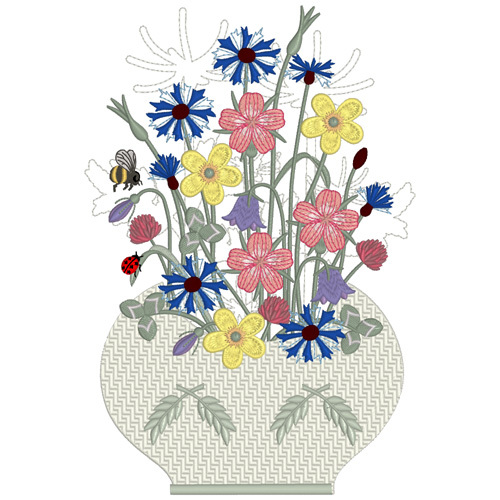 Just for something entirely different, today I picked some “embroidered” wild flowers as I did when I was a child and arranged them in this vase. Hope you like the result as they will last for ever. This design will be part of the final set, for 12″ by 8″ hoops, in the Summer Meadow collection. Last week I released the third set of designs which included this one which is my favourite as it contains the full head of cow parsley with tiny flowers, which are flowering along the country lanes now in England. Summer Meadow 4 will be released in early May. 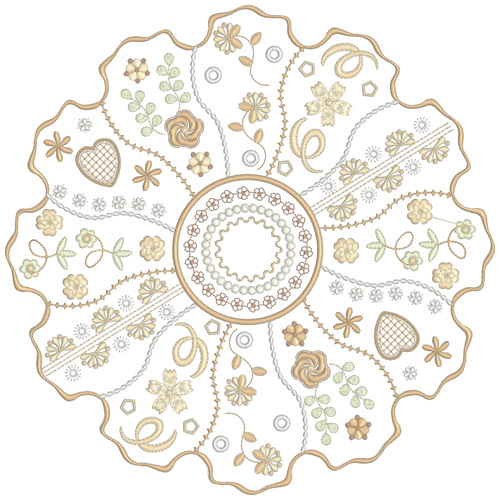 By the way, one of the silk fabric packs will be used for a future embroidery design, probably the new Dresden quilt block that is due out in May. 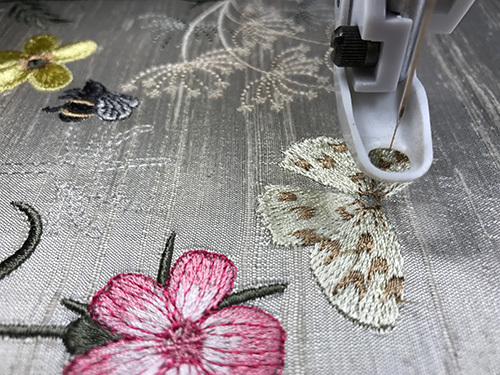 This entry was posted in Discussing machine embroidery, Inspirational, New Designs and tagged development of embroidery, Digitising flowers accurately, machine embroidery. Bookmark the permalink. Very inspiring and beautiful, thanks! The designs that I have just received from you have certainly inspired me – will send a picture of what I have done with them shortly. Beautiful designs !!! That’s incredible! All the best with the new machine. Please email me to let me know which machine you bought so you earn Rewards as a member of my Embroidery group. Well, one way to quicken my heart rate is to show me those exquisite fabrics from the Silk Road. They would be $10.27 per packet in the US. Do you have other sources for similar high quality beautiful fabric? My Dream Machine is away at the dealership awaiting a circuit board replacement. Honestly, I feel as though my best friend is in hospital. Let’s hope she will be well and back home soon. Obviously I don’t purchase from the USA as I live in the UK. I think they are quite unique! Hope your machine is home again with you very soon. I know exactly how you feel. Every time a new design set comes out I am inspired! Now I just Need TIME!!!!! Hazel, I love your work. Am unable to sit and embroider right now, but in a few weeks Illbe back at it!